Trae Yung has to be this year's hardest working femcee, as we seem to be hearing a new verse from here almost every month. 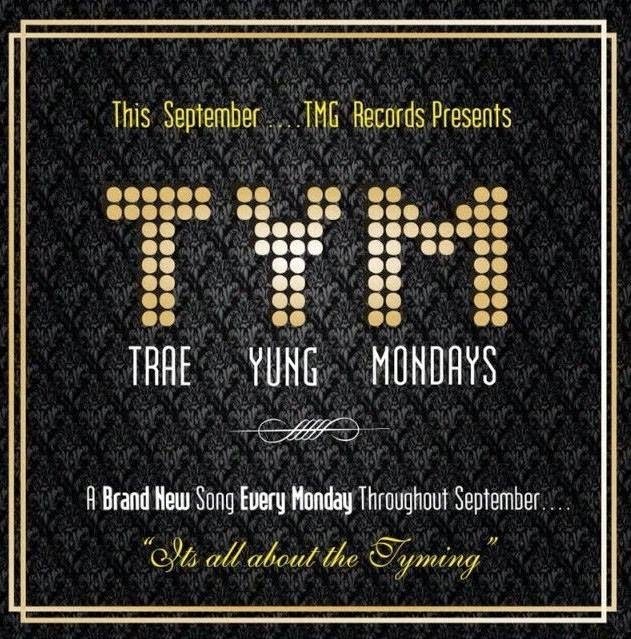 As she gears up for her sophomore album, to be released on her birthday on 17 October 2014 she has decided to give us a treat in the form of TYM (Trae Yung Mondays). These are new tracks she drops every Monday in the month of September. I'm sure her fans are not complaining about this. If her album is as good or even better than the TYMs then we are in for a classic treat. TYM1 sees Trae Yung enforcing her title of Queen of Zim Hip-Hop as she "goes hard". TYM2 sees a now familiar trio, The Hitmen who also produced Mcpotar's Drop Some More and State Of Art's The Plague to name a few. The track that got everyone saying, "Haaaa ndikoko!!!" TYM3 sees Trae's third collaboration with Noble Stylz, this time on a love track. A welcome theme change, to get the juices in lovebirds flowing again.